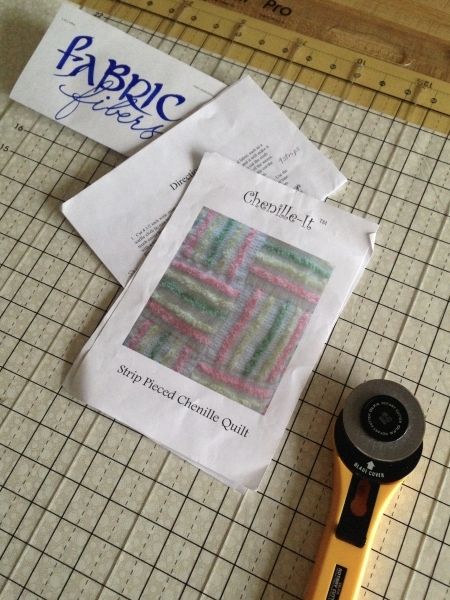 Chenille Quilt – Calligraphy for Life's Celebrations! 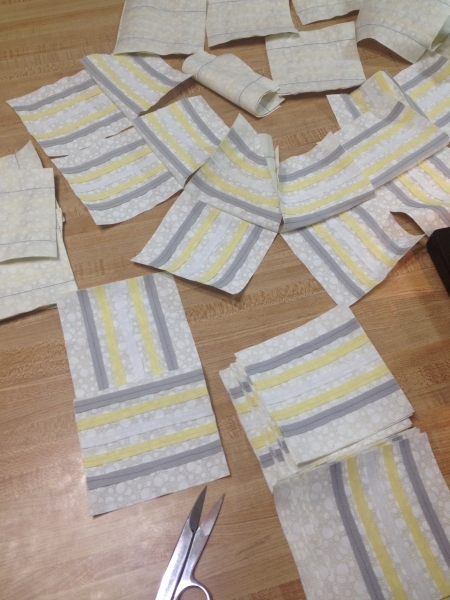 Clearly this is not calligraphy, but sewing has been a favorite activity since I designed clothing for my Barbie doll. 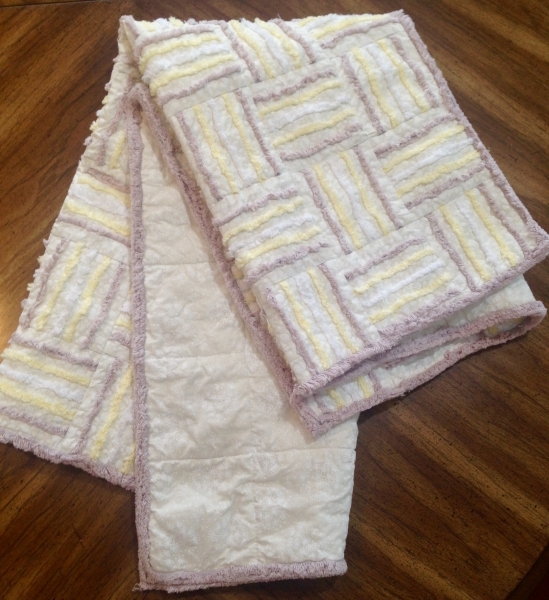 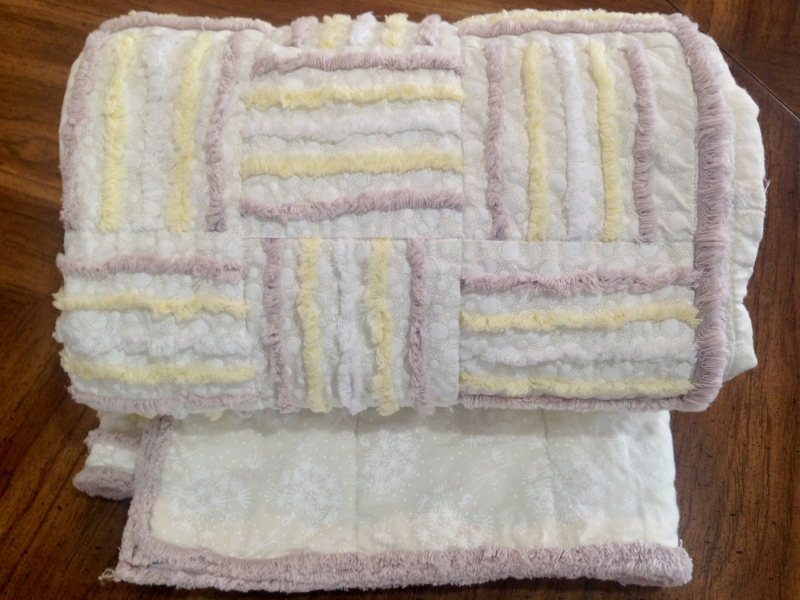 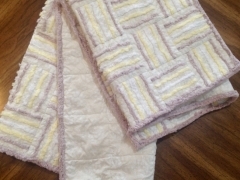 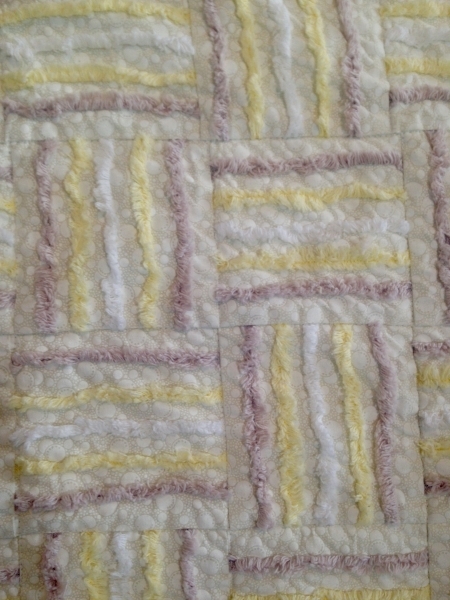 This 36″ baby quilt I sewed is soft as can be. 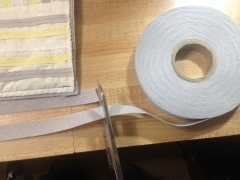 Sewing strips of a specially made bias cotton tape results in lines of soft fuzz after washing. 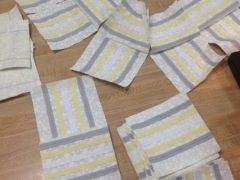 So easy to do. 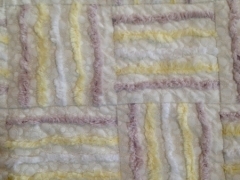 Don’t you love the result? 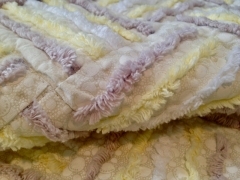 At market we saw darling pillows, quilts, textured wall hangings, scarves and other wearables. 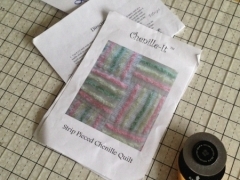 Watch for more sewing arts projects as I will be teaching this and other innovative art classes at Donna Sandidge’s Fabric & Fiber Shop in Springfield, TN.